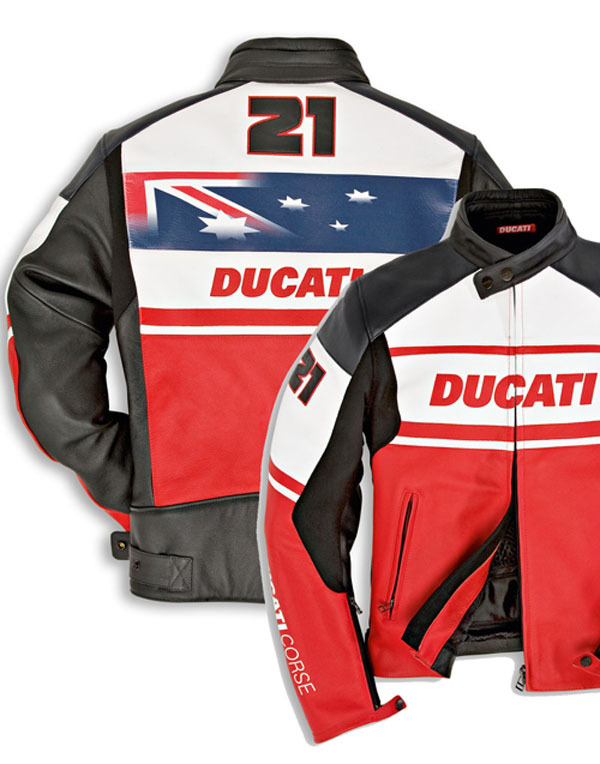 The Hero Leather Jackett, made from 1.1 to 1.3 mm thick cow's leather, is clearly inspired by the Ducati racing world. It features composite protectors on the shoulders and elbows, preformed aluminium inserts in the shoulders. It therefore provides maximum protection without sacrificing comfort: this jacket is in fact fitted with stretch inserts on the shoulder blades and elbows, which makes every movement easier for the rider while at the same time ensuring a comfortable, safe fit. On the inside there is 3m thinsulate liner. The red, white and green colour scheme is a powerful reminder of both the Italian origins of the brand and the typical Ducati racing colours, thanks to the addition of some black on the inside arm. Not forgetting the Ducati Corse shield, which features on the breast and shoulders.